A general strike in Portugal has thrown people's travel plans into jeopardy, with flights at risk of cancellation. Those planning a trip to the European country might wish to invest in a reliable travel insurance policy, as airports could be affected by the strike until the early hours of Friday morning. Meanwhile, Thursday could see a national shutdown as part of the industrial action. Aviation unions have warned that the workers they represent are to take part in the general strike, while European air traffic organisation Eurocontrol has said different air traffic zones could face variable strike times. Business travellers and holidaymakers with flights booked after 10pm on November 23 or on November 24 should get in touch with their travel agent before heading to the airport, Portuguese airport operator ANA has advised. 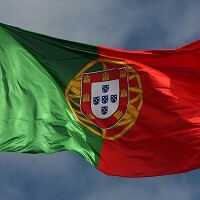 In addition to this week's strike action, the Portuguese Civil Aviation Pilots Union has announced that industrial action will take place at certain points next month and in January.